Dr Phibul Issaraphant, expert from the Bureau of Occupational and Environmental Diseases, Disease Control Department, of the Thai Ministry of Public Health, found that blood test results from farmers from 2008-2009 showed the risks for farmers are still very high. Around 30% of farmers have pesticide chemicals in their blood to a level that is considered risky and unsafe. There is still no sign of these levels falling. The rate of fatalities of Thai people from pesticides is 1 person in 100,000, which is much higher than the rate of deaths from dengue fever. Data gathered by the Bureau of Occupational and Environmental Diseases show that the ten provinces with the most number of recorded illnesses from chemicals, were Ang Thong, Kampeangphetch, Chanthaburi, Utaithani, Pichit, Supanburi, and Uttaradit, Tak, Nan, and Mae Hong Son. Dr Pattapong Kessomboon, Medical Faculty, Khon Kaen University presented his study findings on the toxicity of 406 chemical pesticides that are authorised for registration and are in use today in Thailand. 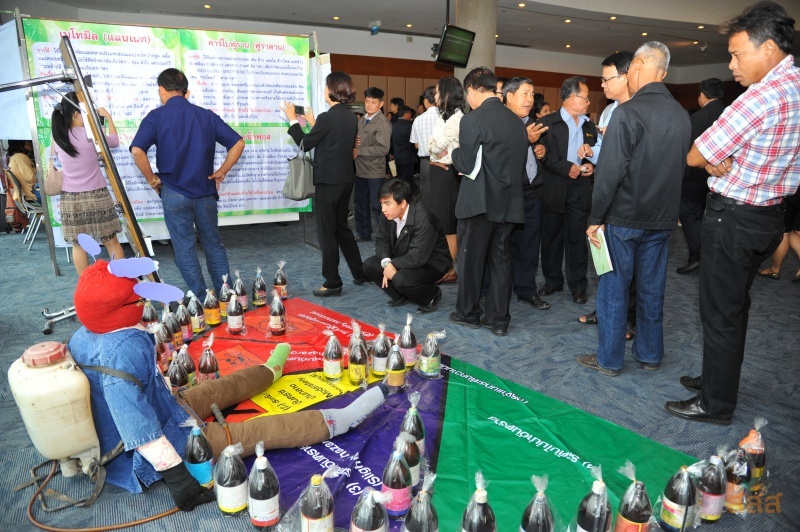 They gather data on acute toxicity, long-term carcinogenic effects, cell mutation, reproductive health impacts, as well as environmental impacts, based on a database of the World Health Organisation, the US Environmental Protection Agency, and the European Union, to assess which types of chemicals should be put forward for consideration by the government agencies responsible for the banning of chemicals in Thailand. 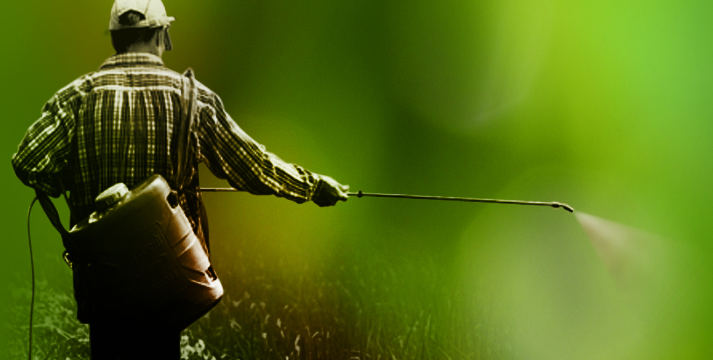 They concluded that Thailand should ban a total of 155 types of pesticides. Within this list there are 14 types which should be banned urgently, as follows: Carbofuran, Methyl Bromide, Dichlophos, Lemadasaihanotrin, and Metidathion Methyl, Omethoate, Cetacipermethrin, Endosulphen S, Aldicarb, Asinphosmethyl, Chlopiriphosatil, Methoxichlor and Paraquat. The Pesticide Alert Network will keep pushing for these chemicals to be banned. Mr Witoon Lianchamroon, Director of the Biothai Foundation said that chemical pesticides have a serious impact on public health and the environment. They are a major source of unsafe foods, fruit and vegetables. We can forecast that if we could ban the use of chemical pesticides according to the above proposal, we would be able to reduce the instances of contamination in foods by not less than a third. The Thai Pesticide Alert Network (Thai PAN) has brought together researchers, public organisations, and farmers. In its work to date, it has campaigned for the banning of four chemical pesticides. The committee for hazardous substances has already called for a ban of two of these pesticides - EPN and Dichrotophos, and while the other two, Methomyl and Carbofuran, have not yet been prohibited, the Department of Agriculture has also not authorised their registration in Thailand.